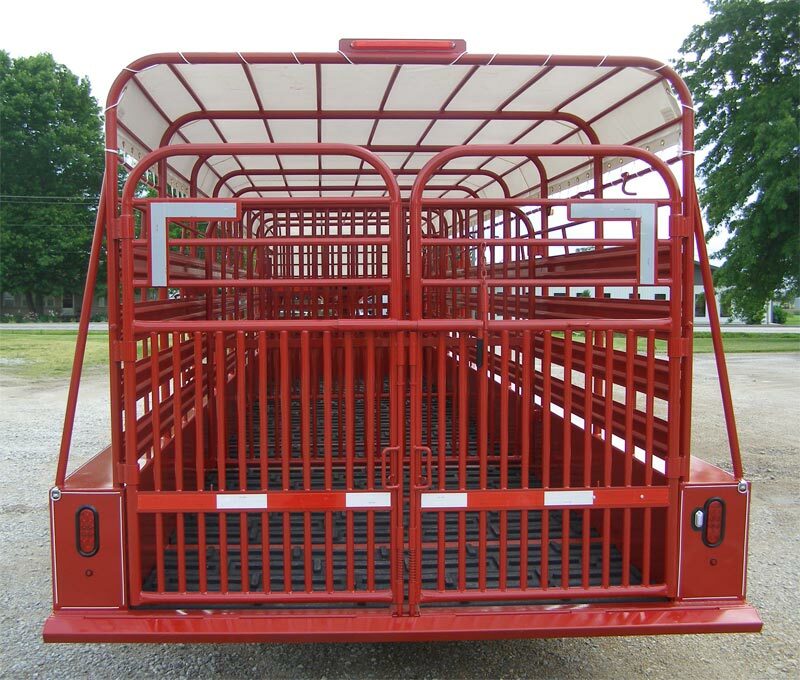 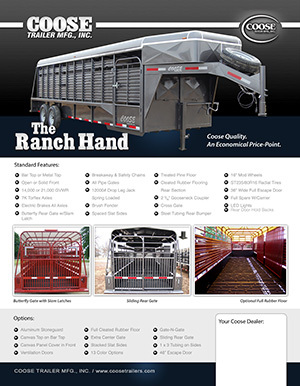 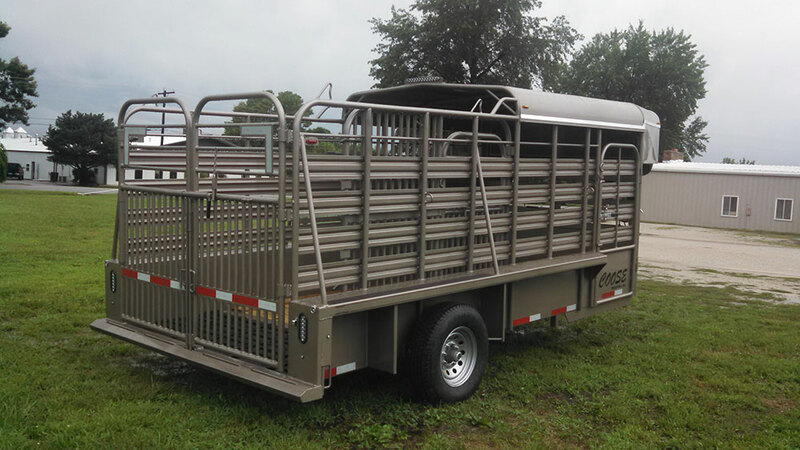 The Ranch Hand has features on the gates and latches that make it more user friendly and are EXCLUSIVE ONLY	to Coose. 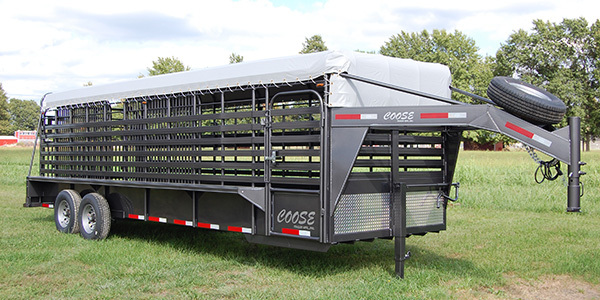 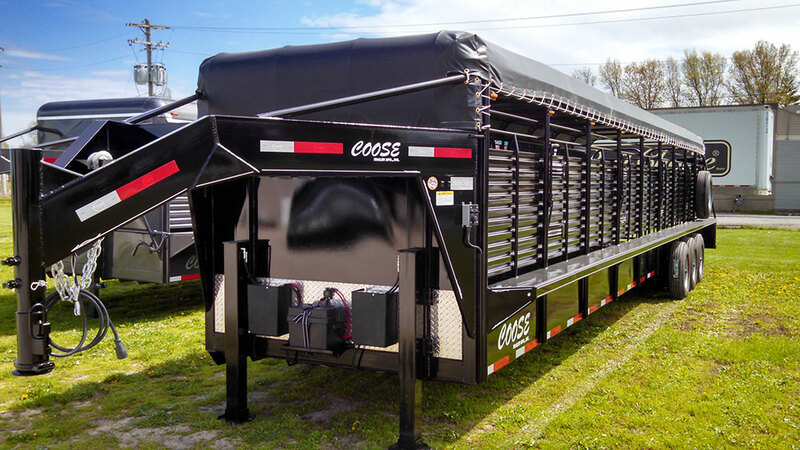 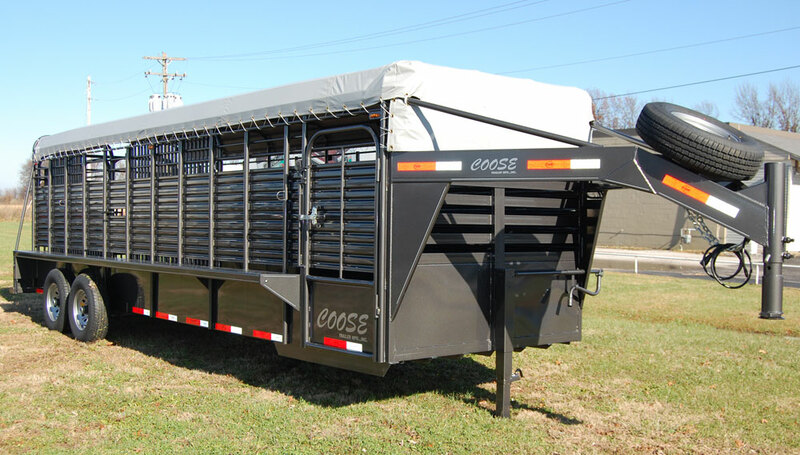 From urethane paint to butterfly slam latches to our all popular Gate-N-Gate in the center gate; your Coose trailer will be easier to use and last longer than ever before. 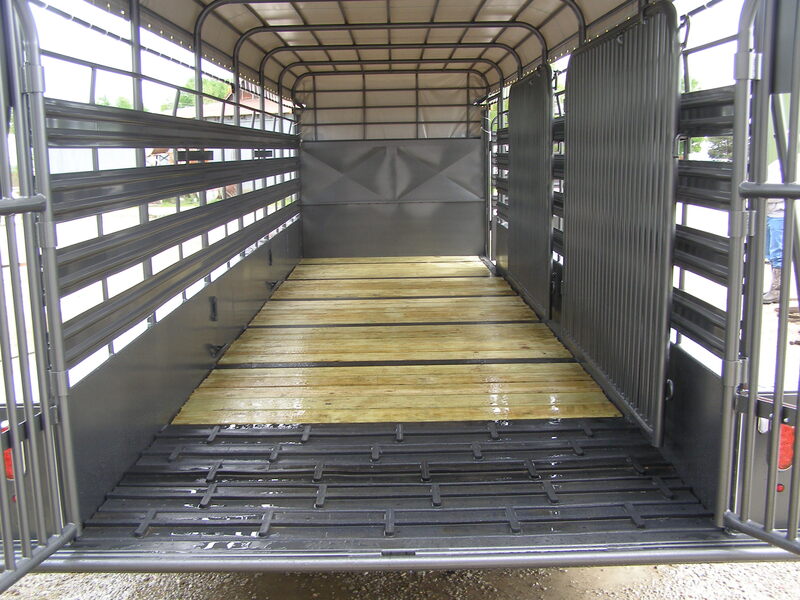 Cleated Rubber Flooring Rear 36"